“PJs for the Holidays” Spreads outside Hampton Roads! Pajama Jams “PJs for the Holidays” has spread outside of Hampton Roads! 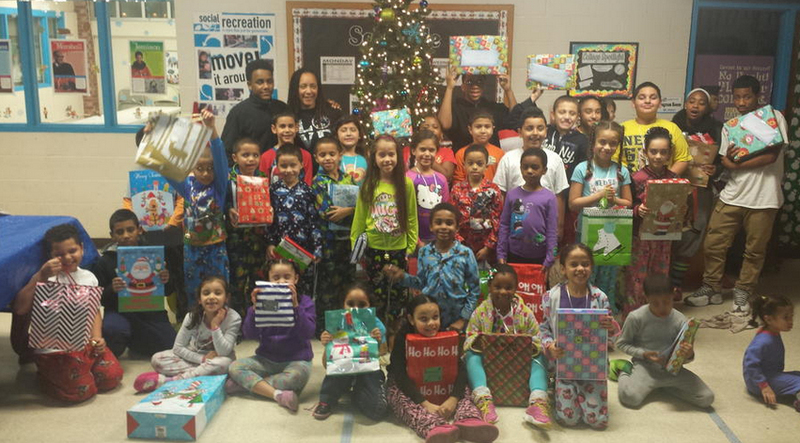 Having heard about the good things we do here, the Greater Hartford Chapter of Jack and Jill of America, Inc., chose to adopt “PJs for the Holidays” as their community service project for December 2014. They collected over 150 pairs of pajamas and distributed them to the children of the Southwest Unit of the Boys and Girls Clubs of Hartford during their “Polar Express” book reading event. We send a special thank you to the Greater Hartford Chapter of Jack and Jill for helping spread the joy of new pajamas to children in need during the holiday season. We love you for it! http://pajamajams.org/wp-content/uploads/2015/08/HartfordEvent.jpg 471 851 pajamajams http://pajamajams.org/wp-content/uploads/2018/11/PajamaJamsLogowithWeb-10year-4-1.jpg pajamajams2015-01-23 23:24:402015-09-07 13:08:43"PJs for the Holidays" Spreads outside Hampton Roads!